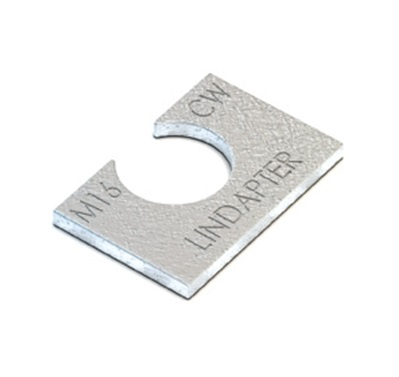 Type CW - Clipped Washers are used to extend the tail length of Type A and B Bolt Adapters to meet differing beam flange thicknesses. Available in sizes M10 up to M20. Available in sizes M10 up to M20.